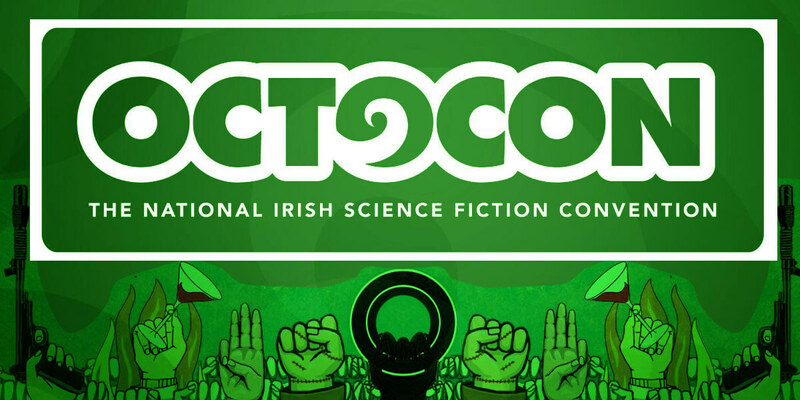 Octocon, the National Irish Science Fiction Convention, is a weekend celebration of our favourite stories from books, comics, TV, Films and games, attracting artists, writers, film-makers and fans from across the human sphere of influence. Running since 1990, where our first Guest of Honour was Terry Pratchett, some of our guests have included Anne McCaffrey, JG Jones, Tanith Lee, Mike Carey, George R.R. Martin and Gail Simone. For one weekend in October, we delve into the unsung genres and curious concepts of Speculative Fiction, with workshops, panel discussions and charming guest speakers. The Theme for #Octocon2016 is Rebellion. This year we will talk about rebellion, what is a rebellion, is pacifist rebellion possible, rebellions which might have happened differently, stealthy rebellions, our favorite rebellions and our favorite rebels. We are also delighted to announce that Rhianna Pratchett, Diane Duane and Peter Morwood are our Guests of honor for Octocon 2016.